In 1647, Alse (Alice) Young of Windsor became the first person executed for witchcraft in Britain’s North American Colonies. 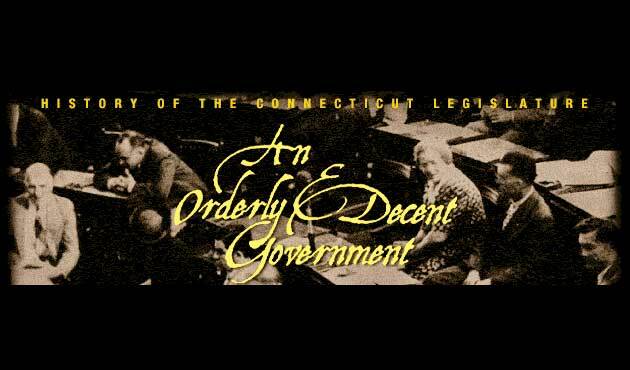 As the pressures on available land mounted, the “proprietors” in each town (the original settlers or their descendants) fought to retain control over undistributed town land and called upon the General Assembly to uphold their traditional rights. 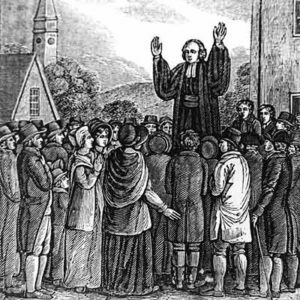 In the Great Awakening, a religious revival of the 1740s, impassioned evangelical ministers like George Whitfield attracted crowds of thousands. Convinced the colony had strayed dangerously from its early religious principles, they cried out for a return to the strict Puritanism of the 17th century. Whitfield’s popularity threatened traditional church leaders, and the General Assembly promptly banned traveling preachers and even deported one.